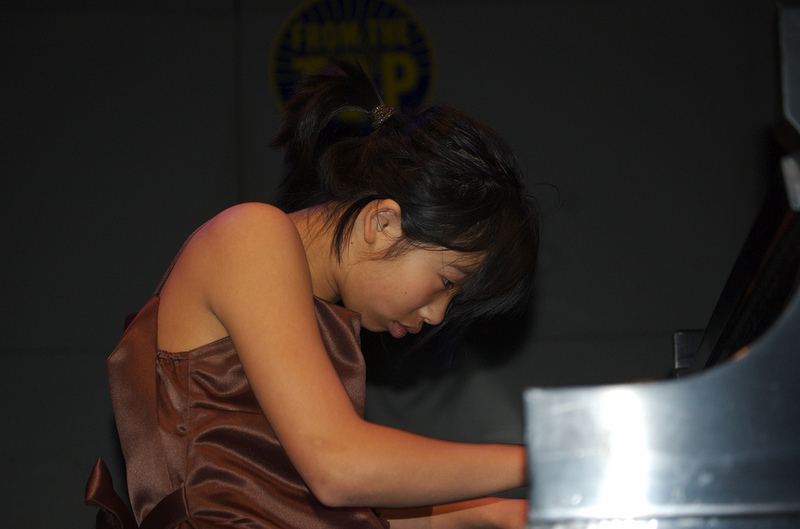 This week From the Top alum Hilda Huang, who perfromed on Show #180 in Berkeley, CA, appeared on Episode 12 of From the Top at Carnegie Hall, and was the highest ranking musician in the Seventh International Würzburg J. S. Bach Competition, updated us on a couple cool opportunities she’s had. Hilda recently appeared in a full-length documentary called “Bach & Friends.” This isn’t a movie about Johann Sebastian Bach’s life, but rather how he lives on today, through the eyes of all different types of musicians. The documentary features performances by many talented artists, including Hilda. During the world premiere in May, 2010, Hilda gave a live performance at Symphony Space. Take a look at the short videos, Part 1 and Part 2, outlining the event (and watch out for Hilda!) Also, you can read some interesting comments on the premiere here. “Bach & Friends” will premiere next in San Francisco on Wednesday, July 14, 7 p.m. at Sundance Kabuki Cinemas. More information can be found here. Hilda’s second recent accomplishment is more virtual – Two weeks ago she visited Big Think, “a global forum connecting people and ideas,” to give a video interview on her love for Bach. She’s the youngest person who’s been interviewed with Big Think so far! The video isn’t posted quite yet, but it will be available here shortly. Please join us in congratulating Hilda!